Tap and Flame is open now with its exciting menu at Belmont Village. OPTIONS galore await diners at Tap and Flame café, bar and lounge. Tap and Flame brings together the tap of the bar and the char-gill flame of the kitchen. 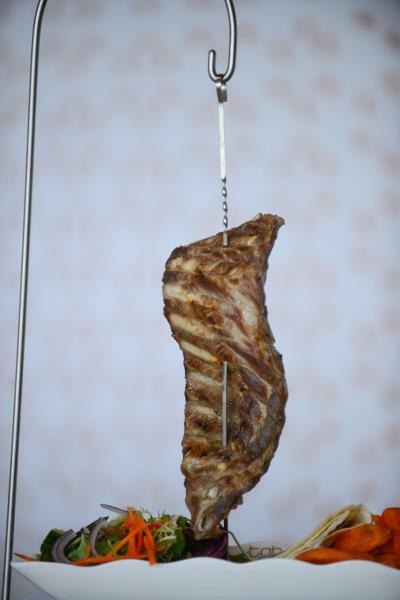 From the relatively new venue’s signature dish – the top grill – through to parmis, steaks, wraps, burgers, salads, Asian food and so much more, the choice is breathtaking. A range of $10 lunchtime specials feature open steak sandwich, chicken burger, sweet chilli wrap, chicken curry and sticky pork belly. Afternoon tea offers assorted Asian steamed dim sims and chinese tea. And a coffee-and-cake special for just $7.95 is available all day every day. Tap and Flame also makes its own meat pies and dumplings. But it’s the dinner menu that really shines, with $12 parmis, including Tap and Flame’s own bruschetta parmi creation and four other varieties from 5pm Sunday to Thursday. New $13 steak and $10 cocktail specials after 5pm Fridays and Saturdays begin in June. 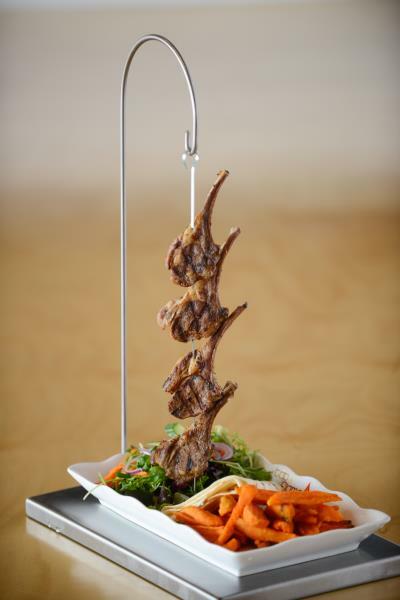 Tap and Flame’s signature top grill uses meats like lamb cutlet and ribs in a kebab-style presentation on a skewer hung from a hook, served at the table with vegetables, fries or jasmine or white rice. The top grill is a top dish as part of winter warmers also on offer. A free kid’s meal is available with every main meal over $20 ordered after 5pm. A takeaway menu is also available. 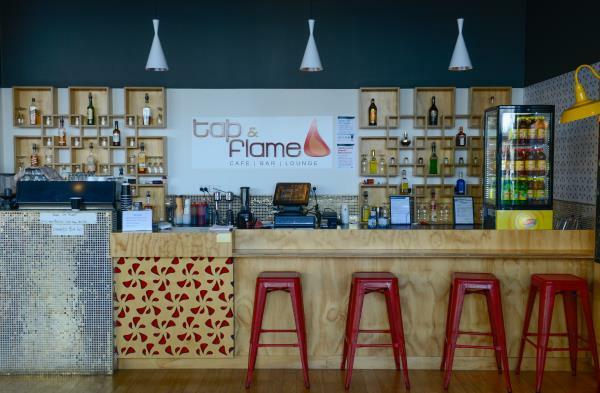 Tap and Flame is open from 11am to late seven days a week near Kmart at shop 13/65 High St, Belmont Village, phone 5243 1158.